If you are worry about the replacement for the Google Reader then you do not have to worry anymore because this collection is all about alternatives to Google Reader. 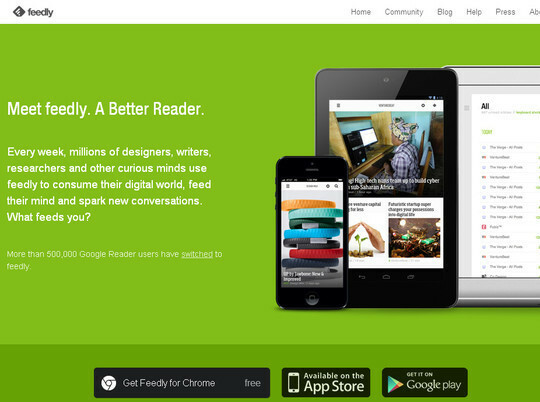 No doubt Google Reader is one of the most important and useful tools from Google apps. So what if Google Reader is closing or shutting down, these days lots of good and outstanding replacements for the Google Reader are available in the market like the Old Reader, News Blur, Feedly, net Vibes and Pulse and so many.